Digital panel meter can cooperate with load cells, force sensors and weighing sensors, two outputs for data comparison, digital panel meter can display gross, net, peak and valley value alternately. 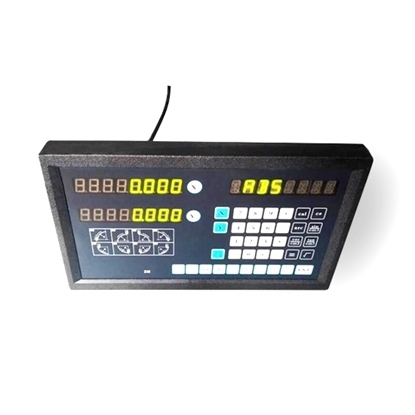 Single channel digital panel meter cooperate with all kinds of analog output sensor and transmitter, realize measurement, conversion, display, transmitting, record and control, zero clearing at any time. Single channel digital panel meter can cooperate with displacement sensors, linear position sensors, potentiometers, etc. 16-bit A/D converter, zero clearing at any time. 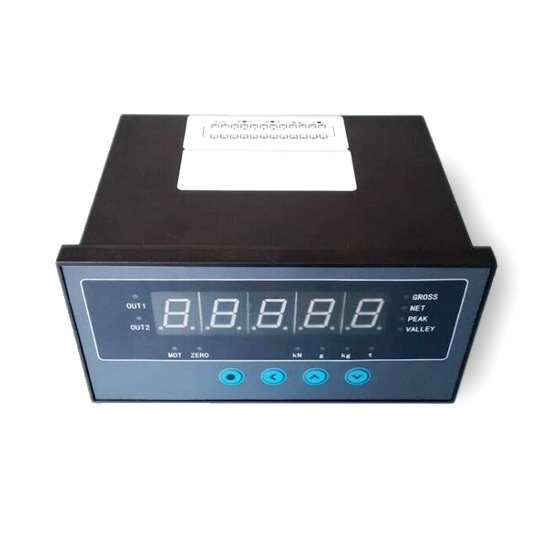 Multichannel digital panel meter for precision linear displacement sensor has power failure memory function, anti-interference, high-precision, high-speed, anti-vibration, greasy dirt resistance. 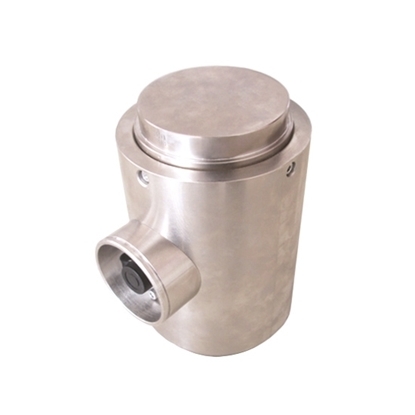 Compression load cell is special designed for weight measurement, with compact structure, pouring sealant or welding seal, low height, all stainless steel, good anti-eccentric load performance and corrosion-resistant. 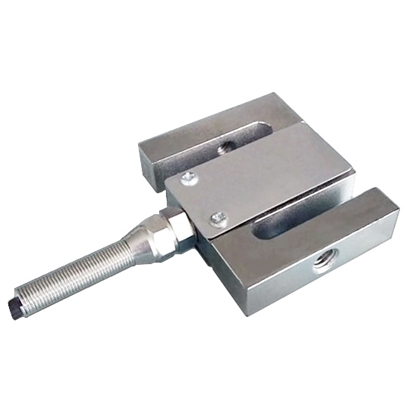 Load cell can be applied for platform scale, truck scale, rail weighbridge and automated measurement and control areas. Intelligent digital display controller can be used for measuring pressure, impact force, tension and weight, has functions such as zero tracking, automatic zero clearing when power on. Tips: How to judge whether the measurement of display controller for load cells is correct in the field? Sometimes, one person can stand beside several load cells respectively to check whether the value of digital weighing controller is the same, and whether it is the weight of that person. This method is very simple and effective. 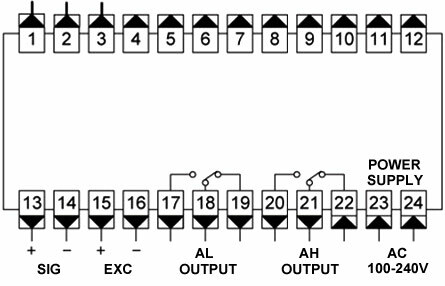 If the data displayed for each sensor is not the same, there exists angular difference. And then it can be judged that the data is inaccurate when the weighing controller is used to measure the large object. Therefore, the height of each sensor should be adjusted to eliminate the gap. If there is no angular difference but the display data is not correct, it is necessary to recalibrate the body. When judging whether the body works normally, the user also can push the weighted container or tank with hands within short time to check whether the changed display data restores to the numerical value before pushing the body. If not, it indicates there is something with the external mechanical connection and there exists external force supporting the measured container or tank. This video shows the connection and setting of the digital display controller with S type load cell. This controller is placed on the side of the assembly line and well matching with the load cell. 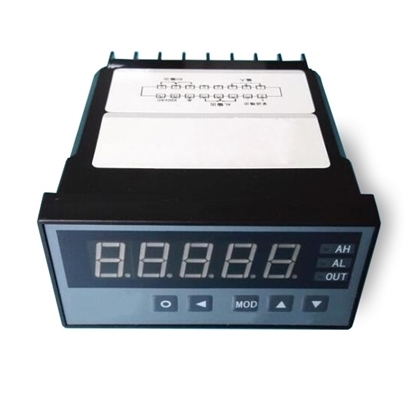 I use the 5 digit display controller for our platform scale remolding. It's easy to use and set. The accuracy fully meets our requirements. The load cell controllers have excellent performance and powerful functions. 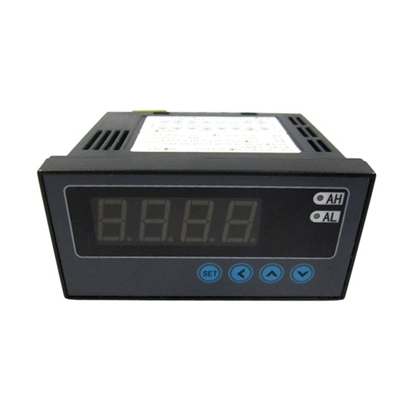 The digital display controllers are very suitable for weighing measurement. We have been using these 5 digit controllers for a long time. 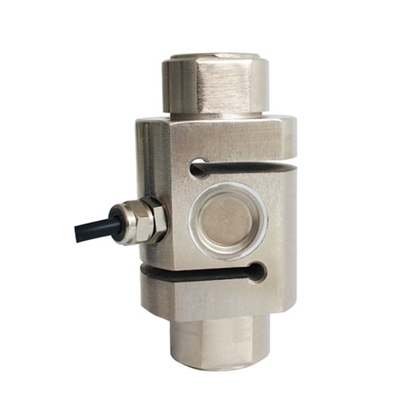 Tension and compression load cell can bear both tension and pressure, with good output symmetry, high eccentric load resistant, compact structure and complete specifications. Strain gauge load cell can be applied for batching scale, crane scales and other special weighing instruments. Column type load cell undertake special surface spraying and seal processing, can be used in harsh environment for a long time. 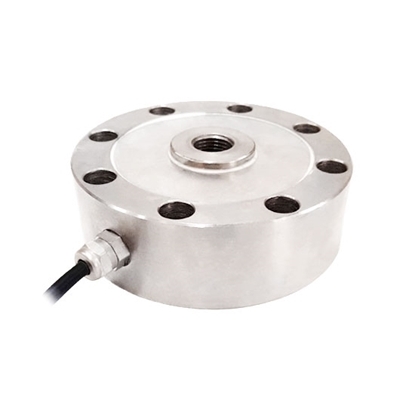 Compression load cell can be applied for large platform scale, truck scale, rail weighbridge, and special for engineering force testing, overload safety testing and impact force measurement and control. Low profile load cell also known as pancake load cell, has flat design, high strength and good symmetry. Tension and compression load cell can be applied for platform scale, truck scale, rail weighbridge and material level measurement and control in warehouse, with good anti-eccentric load performance, low height, all sealed structure and complete specifications. S type load cell can bear both tension and pressure, with good output symmetry, high accuracy, compact structure and complete specifications. Strain gauge load cell can be applied for batching scale, electronic-mechanical scale, crane scales and other force value measurement and control. 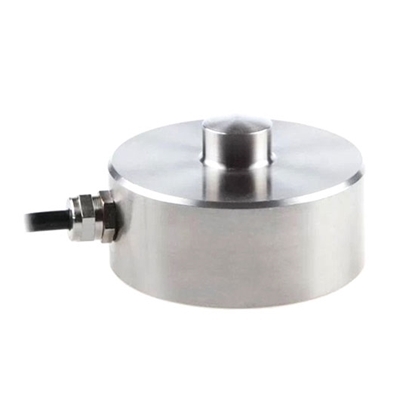 Compression load cell is special designed for weight measurement, with good anti-eccentric load performance, low height, all sealed, complete specifications, Load cell can be applied for platform scale, truck scale, rail weighbridge and material level measurement and control in warehouse.